One of the most challenging things to incorporate into a homeschool endeavor is the aspect of foreign language. Learning a foreign language does require specific intensive instruction, immersion, and practice. This can be difficult for most parents to provide. In many cases parents turn to outside help in teaching their students a new language. There are many options for this such as: online learning, DVD courses, co-op classes, and tutors. Often, the level of online language instruction can be just as amazing as a regular “live” language course. 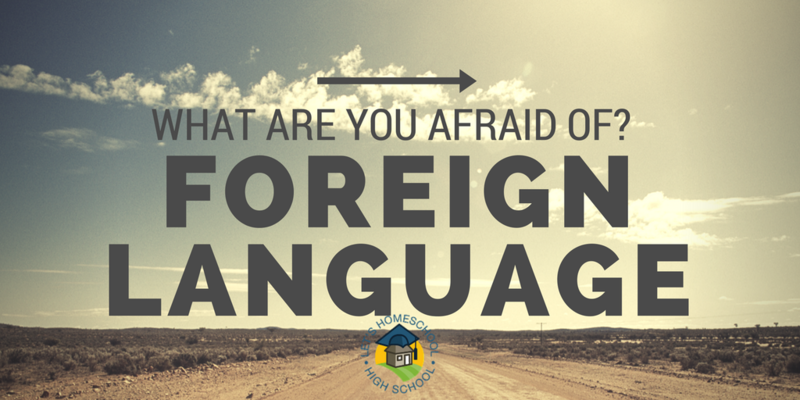 When setting up your homeschool foreign language study, there are a few things to remember. 1. Today’s foreign language study isn’t all grammar, repetition, and mechanics. It’s communication… which is the fundamental goal. Most scholars agree the student needs some grammar and translation exercises mixed with immersion and task based learning. For many successful polyglots (those speaking several languages), learning a foreign language starts at a very young age. The most successful learning comes from using a mix of curriculum, texts, TV, music, DVD’s, and even websites in the studied language. This gives the learner an opportunity to see not only the language but also the culture. 2. Most language scholars agree that a foreign language cannot be “taught” it must be learned. Putting the emphasis on the student and the student’s willingness to communicate within that language. Motivation is key. It’s important for the student to see the relevance of learning a foreign language. Language learning amplifies the student’s understanding of grammar and syntax in both their own language and the language they are learning. Language study can come in all shapes and sizes. It is advantageous to find a method of study where your student feels most comfortable. Though it is helpful to obtain feedback regarding pronunciation. Though this often comes in the form of a live teacher or a live online course, there are online language options today that check pronunciation and can give immediate feedback. However, many students just don’t care for online language courses and text based language sources are there choice. There are loads of options if this is where your students falls. Of course, one of the easiest would be to visit your public library. Often you can even check out audio resources to help with pronunciation. We’ve also recently discovered some free pdf resources for several of the most commonly studied languages. Thank you Jamie for this timely post. Teaching something you don't know yourself can be pretty daunting. Having resources such as the ones you listed are so vital!